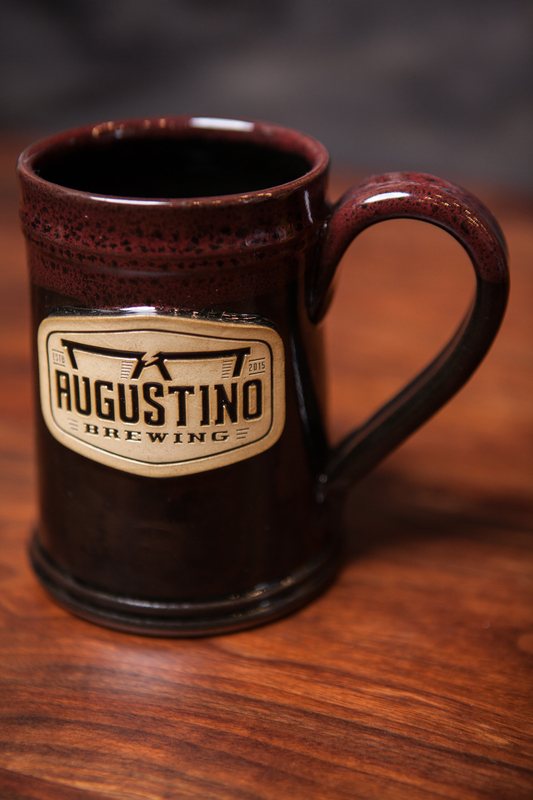 Step 1: Come into Augustino Brewing and purchase this stylish 20oz American-made Augustino Brewing stoneware mug for only $25. Step 2: Drink all your Augustino Brewing beers at the pint price (about $1-2 more beer for the same price!). Step 3: Repeat and enjoy life.